There’s a simple reason vaccination is so important - it prevents disease and saves lives. And in terms of disease prevention, only clean water (also considered to be a basic human right) performs better. 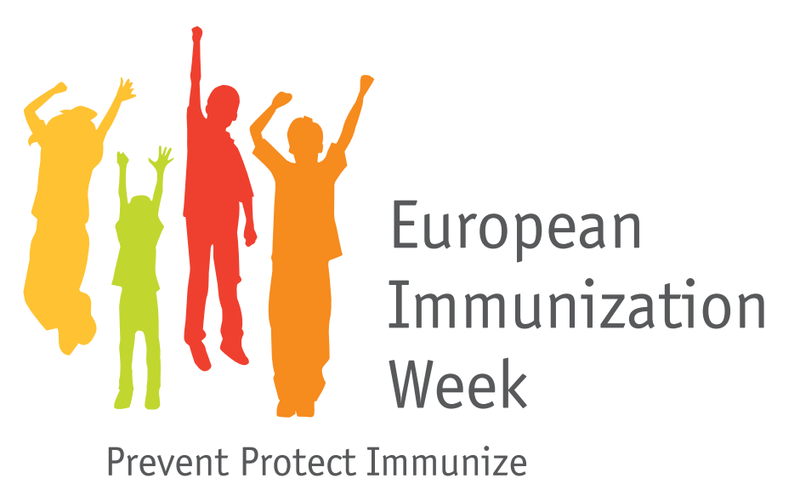 This week is European Immunisation Week, led by the World Health Organisation, and the focus is on measles, mumps and rubella (MMR) vaccination. During this week, we’ll be highlighting progress made as we aim towards elimination of measles in the UK, as we have seen already with rubella. But there’s no room for complacency – we need to get rid of measles and to keep rubella from coming back. We’ll be focussing on the remaining immunisation gap between those who are protected and those who sadly remain vulnerable. Measles is a highly infectious viral illness and in children it is usually mild, but for adults it can be much more severe. Catching the virus can be very unpleasant, but can also lead to more serious complications including pneumonia and seizures. The MMR vaccine means measles is now less common in the UK, but those who aren’t vaccinated or not fully vaccinated, remain susceptible to this highly infectious disease. The vaccines for measles, mumps and rubella were combined to become the MMR vaccine which was introduced here in 1988. In England it’s now offered routinely to children as part of the NHS Childhood Immunisation programme with a first dose given at the age of one and the second dose offered before children start school, usually at age 3 years and 4 months. It’s particularly timely to discuss MMR now. We’re currently seeing cases of measles in England and it is adolescents and young adults who are most affected. Some of this is a result of an ‘immunisation gap’ - an outcome of the controversy that surrounded the vaccine following a 1998 study suggesting a link to autism and other disorders. The research has since been disproved and discredited – the General Medical Council finding the study ‘dishonest’, the British Medical Journal branding it ‘fraudulent’. The paper was retracted by the publishing medical journal The Lancet, who noted that the statements in the paper were ‘utterly false’. To this day, the MMR vaccine remains safe and effective but unfortunately the controversy has resulted in a group of young people who remain susceptible to the disease – either because their parents refused the vaccine all those years ago, believing they were doing the right thing for their children at the time, or because they simply did not get round to it. People may think that – now they are older – they are no longer at risk – but that’s simply NOT true. Before publication of Wakefield's now retracted findings, uptake of MMR in the UK was 92%; after publication, the rate dropped to below 80%. It’s clear to see what would happen without the vaccination, since the fall resulted in an increase in measles cases - in 1998 there were 56 measles cases in the UK; by 2008 there were 1348 cases. Measles has yet to be eliminated in the UK and, as it’s highly contagious, it will seek out unvaccinated individuals, particularly age groups who are in regular close contact with their peers – for example at school, university and the workplace. The good news is that it’s not too late for young adults to have the vaccine. People commonly think vaccines are mainly for babies and young children, but if you haven’t received two doses of the MMR vaccine in the past, or if you’re unsure, speak to your GP. There’s no harm in receiving an additional dose, so even those who are unsure of their vaccination history can still make sure they get protection from the vaccine. Anyone born before the 1970’s is likely to have some natural immunity to measles, but anyone who was born from 1970 should check with their GP what they’ve had and take it up from their GP. Wherever a vaccination gap exists, the threat of measles will remain. So how is uptake now in England? For children it’s very high, thanks to the hard work of healthcare professionals and the restored trust in the vaccine. More than 90% of children have received their first dose of MMR by 2 years of age since 2011 and 2012, which is very positive. As it stands, a 3.5% increase of Measles, Mumps and Rubella (MMR) vaccine is all that is needed in England to close the immunisation gap and reach the World Health Organisation’s 95% uptake target for 2 year olds. This gap equates to approximately 24,000 children every year (2,000 a month) in England who are not currently receiving MMR vaccination at the scheduled time (from 12 months of age). To help us close this gap, we want professionals to ensure they make every contact count to spread awareness and provide information on vaccinations to parents and young adults. We also want parents to think about their older children, e.g. secondary school, sixth form or university age, or even older. We’re also asking parents and young adults to stay alert to the symptoms of measles, which can include cold-like symptoms, sore red eyes, a fever and a red/brown blotchy rash. If you or your child experience symptoms you should seek medical attention - but please phone ahead before visiting GP surgeries. Measles is contagious and arrangements can be made to help stop it spreading. Think about vaccination before infection becomes a reality- are you and your children up to date?